Unlike pizza, which is good even when it’s not, there is such thing as bad alcohol. And over the years, there has been plenty of it. Whether it’s an effort to stand out on crowded liquor store shelves, or a misguided attempt at targeting an under-served segment of the drinking public, there are some taste sensations man was not meant to be subjected to. These unholy concoctions span the ages, though mostly crop up in the latter half of the 20th century and beyond as brewers and distillers began to experiment with new technologies and techniques. Sadly, most of the most egregious offenses took place here in the good old U.S. of A. That shouldn’t surprise anyone, given that the American spirit of adventure does tend to encourage minds eager to sally boldly forth and try something no sane man or woman would dare allow ferment in even their worst nightmares. Below are some of those nightmares in all their high-proof glory. 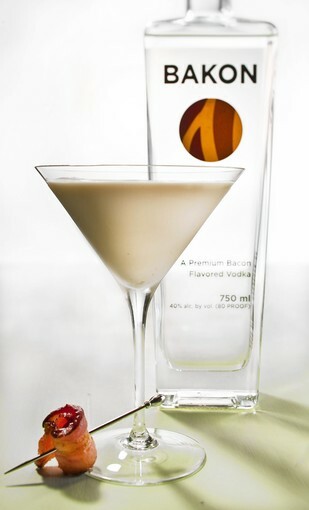 Bakon Vodka – Bacon-infused liquor is huge at craft cocktail bars across the country. The smoky pork flavor enhances cocktails from Bloody Marys to Manhattans and Mudslides, but the homemade infusions go rancid after a relatively short shelf life.